Information is provided on this page for media use, to promote the Emily Carr Statue Project. No commerical use of images is permitted. 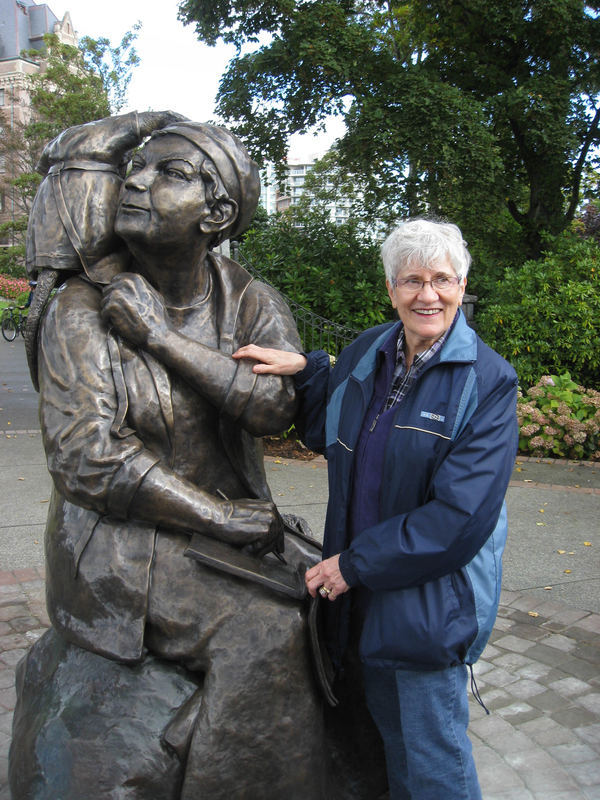 Close-up of sculptor Barbara Paterson with the Emily Carr Statue.